This discussion resource is for students aged 16+ interested in journalism, to be used in Media or English. 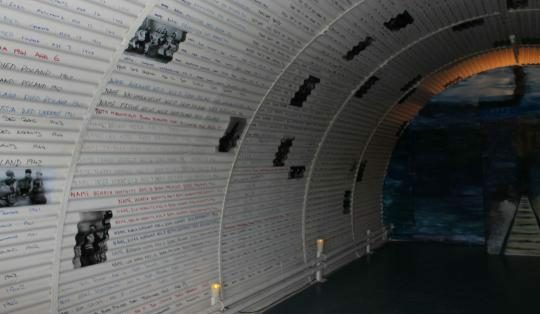 You will learn about how the media was used during the Genocide in Bosnia, and discuss issues of the journalist as a witness to a genocide or similar atrocity and the responsibility and ethics of the press. 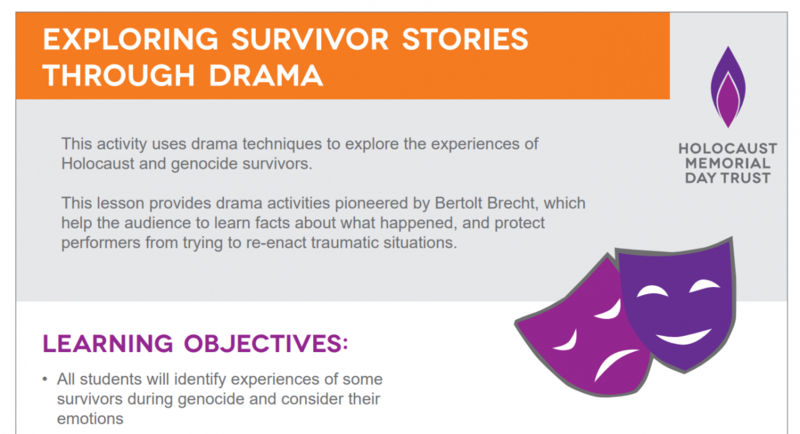 This lesson for secondary schools uses drama techniques to explore the life stories of people who survived the Holocaust and the Genocide in Rwanda. 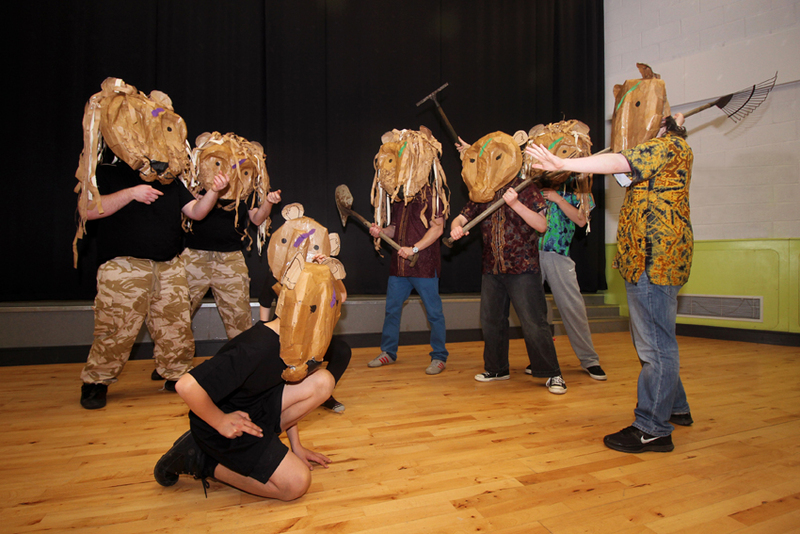 It provides drama activities pioneered by Bertolt Brecht, which help the audience to learn historical facts, and protect students from trying to re-enact traumatic situations. This lesson plan is for secondary schools, and is suitable for use in History, English, RE or Citizenship. 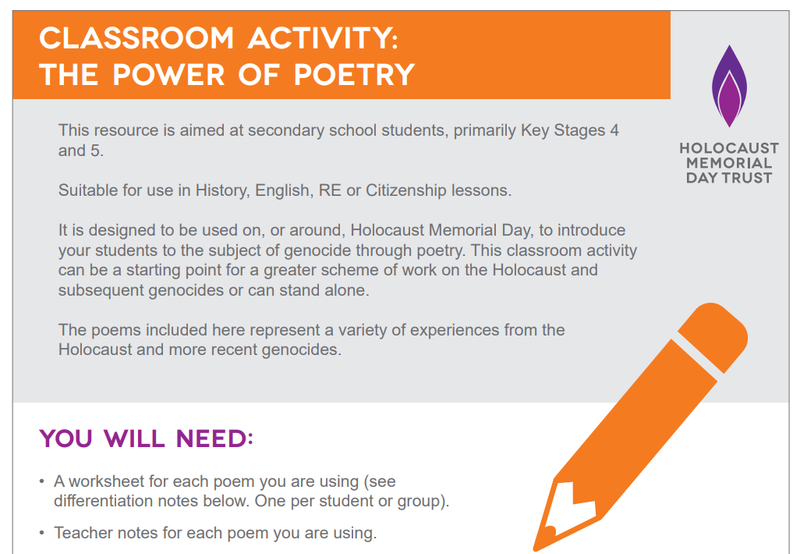 It introduces your students to the subject of genocide through poetry, to mark Holocaust Memorial Day. The poems included represent a variety of experiences from the Holocaust and more recent genocides. 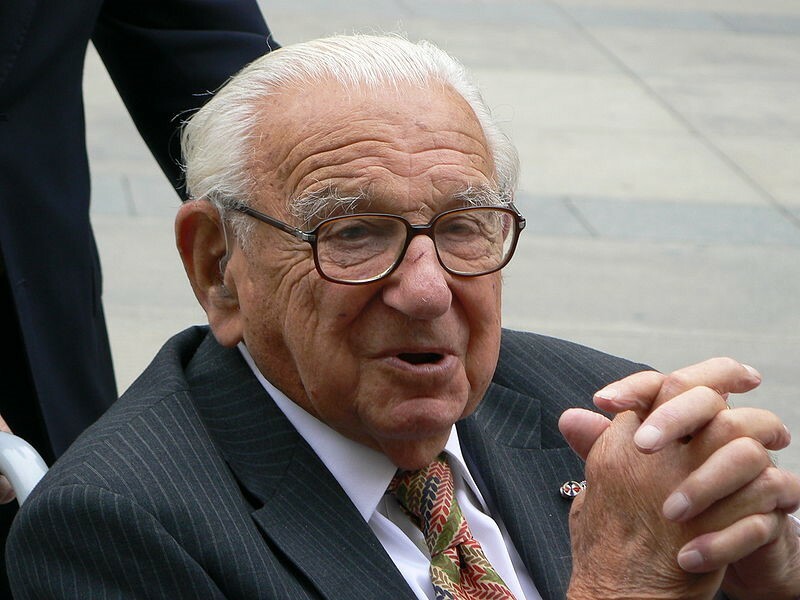 Holocaust Memorial Group Hartlepool was founded in 2014 and is supported by Hartlepool Borough Council Youth Services. HMG Hartlepool is made up of twelve young people aged 13-19 who work hard all year round to educate themselves and raise awareness amongst their peers about the Holocaust and subsequent genocides. 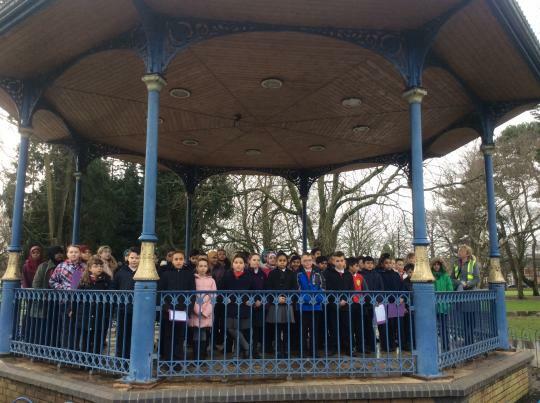 Year 6 pupils from Lansdowne Primary School, Cardiff led the schools’ Holocaust Memorial Day ceremony from the band stand in the city’s Victoria Park. 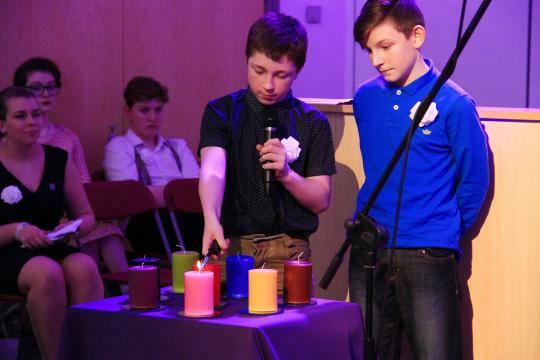 The event was opened by two of the pupils who introduced the relevance and importance of Holocaust Memorial Day to their classmates and around 60 members of the public. For many years Hastings Borough Council have supported a Holocaust Memorial Day Service, which takes place at St Mary-in-the Castle, Hastings. A former Church, the venue was converted into an arts centre in 1998 and now hosts a wide variety of performances and events. Prisoners from Magilligan Prison, County Londonderry, developed Empty Spaces, an exhibition for schools based in 1940s Nissen huts in the prison. 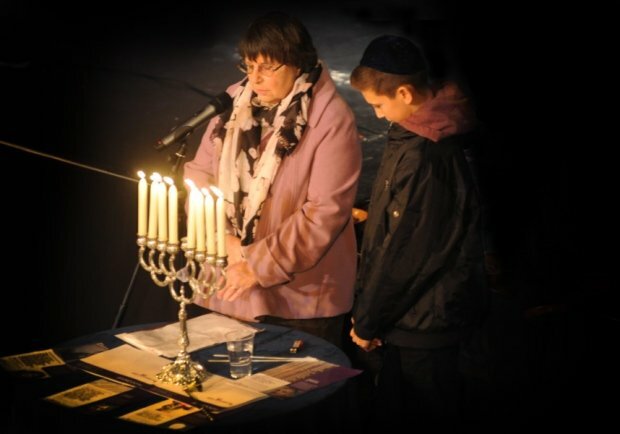 Young people took the lead on a full programme of drama and music for Holocaust Memorial Day (HMD) in Rotherham. The event was organised as a collaboration between Rotherham Early Help (Rotherham Borough Council), the Hudderfield-based CHOL Theatre arts company, and MyPlace/YMCA community centre. 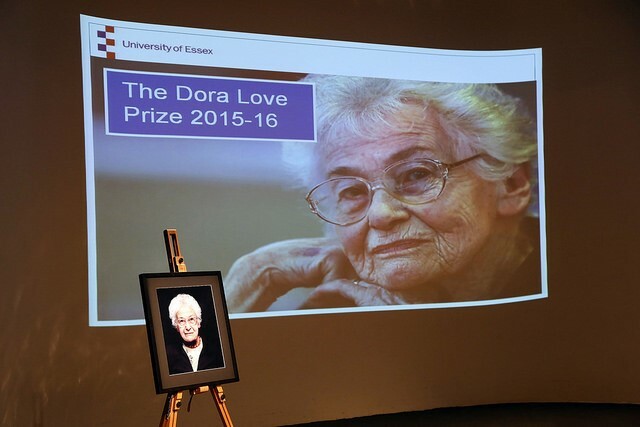 The Dora Love Prize was created in 2012 in memory of Dora Love, a Holocaust survivor who worked tirelessly to raise awareness about the Holocaust and the attitudes that made the Holocaust possible.